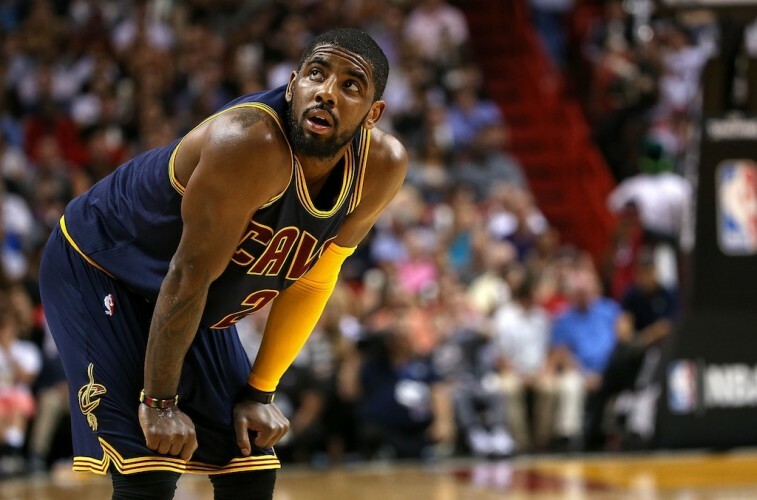 What Happens to Cleveland If It Loses Kyrie Irving, Too? Heading into Tuesday night’s crucial Game 5, the Cleveland Cavaliers are hanging on by a thread. The team isn’t on the verge of elimination. In fact, after Sunday’s dramatic victory over the Chicago Bulls, the momentum is probably in the No. 2 seed’s favor. And yet, that doesn’t change the fact that Cleveland is hurting. In the postseason, it’s very difficult to make a run with a depleted roster. This is the position the Cavaliers have found themselves in during these 2015 NBA Playoffs. With the absence of Kevin Love (dislocated shoulder), Cleveland has lost the ability to stretch the floor and provide space for its ball handlers. This is a key loss, but the Cavs have managed to make the necessary adjustments to keep their heads above water. 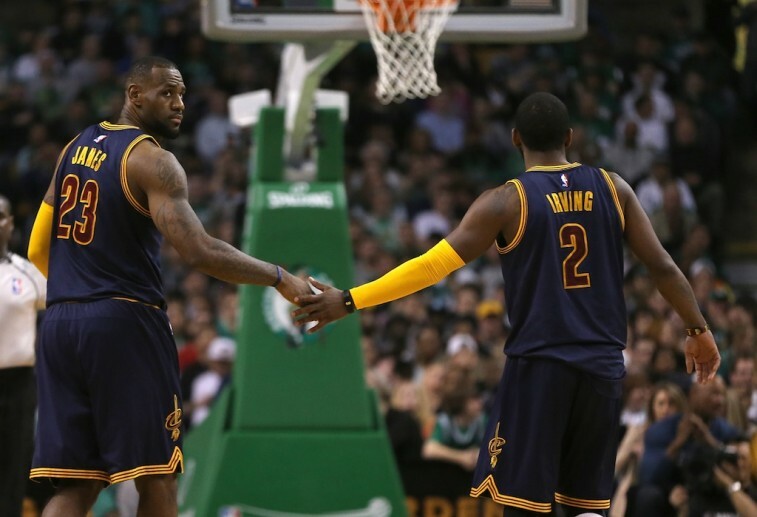 At least the team’s top two options — LeBron James and Kyrie Irving — are still on the floor. However, it could be only a matter of time before that changes. Irving had already been dealing with a right foot strain, but now it’s been determined that his other leg is banged up as well. 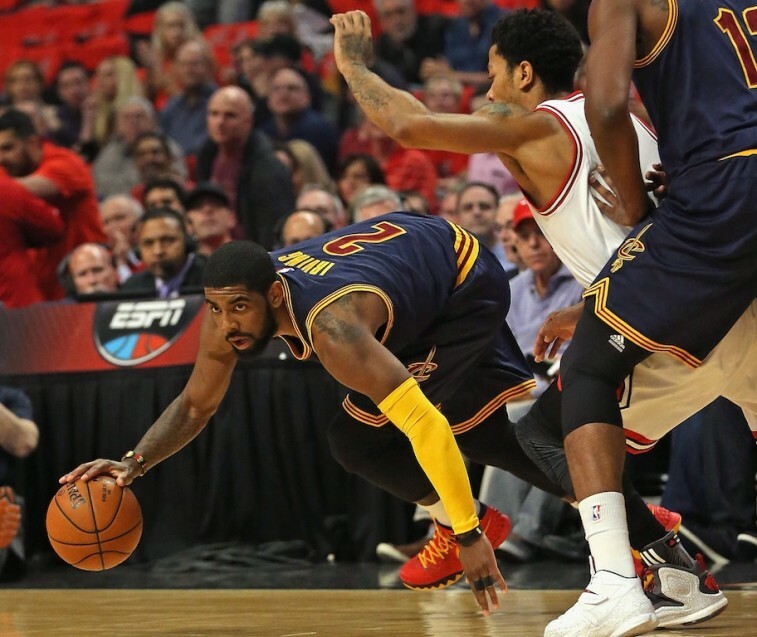 After undergoing an MRI on Monday, the results revealed that Irving has tendinitis in his left knee. This injury is believed to be the result of overcompensating on account of his previous foot issue. As of right now, to the relief of Cavs fans everywhere, the All-Star point guard is preparing to play in Tuesday’s contest. This is good news, indeed. No matter how banged up he may be, Cleveland can’t afford to lose another one of its stars. If this were the regular season, or under any other circumstances, Irving would most likely not be playing. The former Duke standout knows this. But this is his first trip to the postseason; if he can play, then he’s going to be out there. He will not sit on the bench and watch this opportunity go by. “If the consideration is now, then, I mean, I should have been sitting out maybe about four games ago,” said Irving. “I just … I can’t do it. Mentally, I can’t do it. I can’t look myself in the mirror and sit on the bench or sit in the locker room while I watch my teammates go out there. If getting to the free throw line is the only way Irving can remain a factor, then he’s going to have to work to make that happen — his teammates are going to have to help make that happen. These last two games, despite often being a decoy on the play, Irving has still managed to draw attention to himself. But considering his declining numbers in the previous two games, that can only last so long. According to ESPN Stats & Information, not only are Irving’s points per game (11.5) in Games 3 and 4 down considerably from the 25.5 he was averaging in the first two contests, but the injuries have limited another major element of his game: his driving to the hole. In Games 1 and 2, Irving was slashing to the basketball on average 16 times per game. In those instances, he was also 9 for 15 from the field. However, in the last two contests, he’s only been averaging 6.5 drives a game, and is 0 for 9 on these attempts. Irving is a phenomenal ball handler, but these ailments have severely hurt his touches as well — 57 in Games 1 and 2; 42 in Games 3 and 4. The Cavs know what kind of player their point guard is right now, but he’s more to the team than just statistics. Regardless of his status, Irving wants to be on the floor. His teammates feel the same way. “The kid is a warrior,” James said. “What he’s going through right now, no one can relate. He’s played 40 minutes on one foot the last two games. Just his presence on the floor, no matter if he’s playing on one foot or not, you have to account for him because of his ability to make shots. His ability to command things out on the floor. … It goes a long way. This Cavaliers team needs their top guys on the floor. They can’t afford to lose anymore bodies. Irving isn’t the only star hurting right now — ‘Bron rolled his ankle in Game 4 — but he’s the one dealing with the most adversity. He might not be true form right now, but his presence and overall toughness, epitomizes something the Cavs have stressed all season: this group is “All In.” Irving will play until he is physically unable to. Which is good for the Cleveland Cavaliers. They’d be in serious trouble without him.